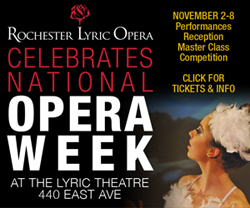 During the week of November 2 - 8, there will be six events open to the public, including performances by Opera Ithaca, Houghton Lyric Theater, and Rochester Lyric Artists with Rochester Lyric Chorus. Tickets: $25.00 general admission, $20.00 senior/student, available at the door. Bad Boys in Opera: Villains, Drunkards and Charlatans. Art Axelrod on Monday, November 2, 2015 at 7 - 9 pm. The Lyric Theater, 440 East Ave.
Acclaimed artist and director William Kendridge ( the Nose) applies his unique theatrical vision to Berg's femme fatale who shatters lives, including her own. Musically, the masterful score is in the sure hands of Met Music Director James Levine. Soprano Marlis Petersen has excited audiences around the world with her portrayal of the title role - a wild journey of love, obsession, and death. 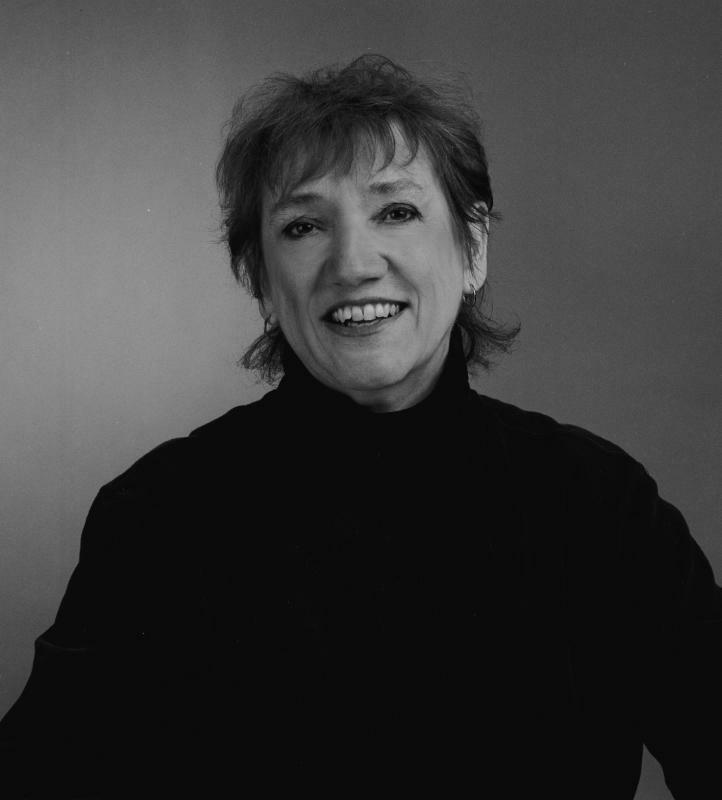 She joins a winning cast, including Susan Graham, Daniel Brenna, and Johan Reuter. 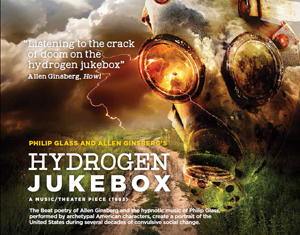 Hydrogen Jukebox is a collaboration of poet Allen Ginsberg and composer Philip Glass. Glass set eighteen of Ginsberg's poems for a chamber ensemble, a narrator, and six architypical American characters. The poems deal with the anti-war movement, the sexual revolution, drugs, Eastern philosophy, environmental awareness - all issues that seemed 'counter-cultural' in their day. Stephen Daigle, stage director; Benton Hess, music director. The opera deals with the assassination of President William McKinley on September 6, 1901, in Buffalo on the grounds of the Pan-American Exposition. He was shot by anarchist Leon Czolgosz and died on September 14. 1901 from his wounds. 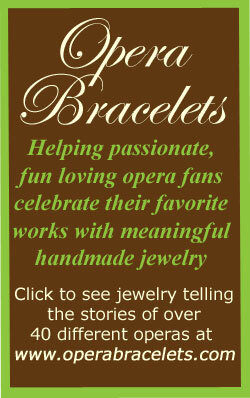 For more Nickel City Opera Website click here: http://www.nickelcityoperaco.com/. Wednesday, October 28, 2015 at 12-1 P.M.
As human beings evolve and develop new creative avenues, there is a constant demand to invent new categories to keep everything straight. What we term Music History starts in the 1500's, but it is likely that human beings of all cultures have been making, and enjoying, music in some form or another for millions of years. In relatively recent centuries, the modern study of music has identified and categorized the various musical genres. Nowadays it seems that these, like rules, are made to be broken. We live in a period of category fusion and genre-defying sonic landscapes. The term "crossover" in music usually refers to one of two things: first, a blending of genres, exhibiting qualities of more than one traditional style, often with mass appeal in mind; and second, an artist well-known in one genre performing music from another, often with mass appeal in mind. Audiences choose what to listen to, parting with hard-earned money to go to performances, buy recordings, and become fans. Thus the business world, which revolves around the commercial value of anything people pay for, gears its categories and genres to generate profits. Once upon a time, the nobility was the prime supporter of instrumental music, and a comic musical play such as Mozart's The Magic Flute was regarded as lower class entertainment. It's fascinating how that has flip-flopped, with opera usually thought of now as "high-brow" and the pop music so carefully aimed at mass tastes happily stepping in to cultivate star power and collect big money. The colloquial term "classical music" that describes various styles of Western art music of the last few centuries points to the ideals of a long tradition. The Latin word classicus, however, simply means belonging to a class, and we call something a classic when it is an outstanding, high quality example of that class. Gradually, because it has stood the test of time, the Classical music genre has come to refer to symphonic or operatic music played on European-designed instruments developed long ago, written by recognized masters of their craft (even if it was not initially pleasing to the general public.) It is interesting to note, however, that as once ground-breaking musical styles endure and the cream rises to the surface, we begin to refer to classic rock, pop classics, country classics, and so on. What then exactly is Classical Crossover? Probably a bit of marketing jargon. When I was growing up, my parents tuned the radio to Easy Listening stations, which was an early name for the phenomenon. The music was tuneful, sometimes schmaltzy - gently pleasing, generally undemanding to the ear, and often rooted in classical compositions. For fun or for money, classical singers could be heard singing popular songs - Mario Lanza in the 1950's, for example - and audiences ate it up. In many ways it was a win-win arrangement, but still displeased purists who preferred the clean beauty of a fine vocal instrument to be unsullied by popular stylism. Therein lies the genesis of the debate. Is high art compromised by popular taste? Is a performer of rare skill lessened by "pandering" to the public just to make money? Who is running the show - a small enclave of music producers and marketers bent on material success, or devotees of great artistic endeavor? With the emergence of terms like Popera and Popsical, one might wonder. Commercial interests naturally drive much that happens in the world; so be it. The mysterious energy that drives us to seek beyond the normal confines of our existence is, and always will be, priceless. Ultimately, the purist is entitled to cherish the intellectually and spiritually satisfying art he or she champions. The savvy marketer is bound to bend genres and cross categories to make a buck. The gifted musician should be free to express versatility and share his or her talent to please a variety of audiences. It's good to consider these questions, fan the fire of debate now and then, and make individual choices. The important thing is what floats your boat.